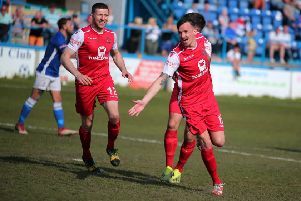 A priceless win over rivals Scarborough Athletic and the demise of North Ferriby United last weekend lifted Buxton into the NPL Premier Division play-off places in fifth. 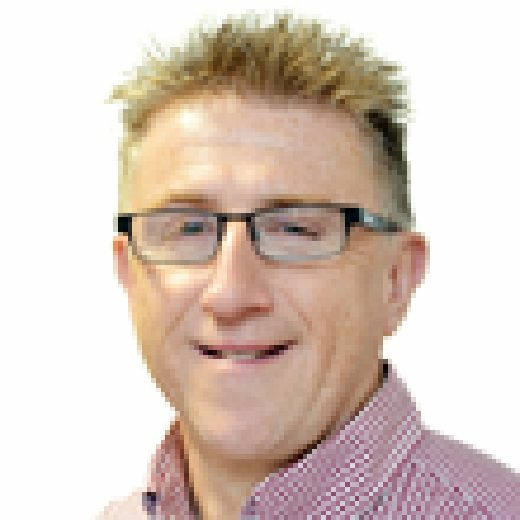 But, sixth-placed Gainsborough Trinity have a game in hand this weekend and all the Bucks can do is watch as they were due to play Ferriby, whose results were expunged this week after the club went into liquidation. Buxton boss Paul Phillips said Buxton will try to make use of their blank weekend to get their breath back ahead of the massive home game with table-topping Farsley Celtic the Saturday after. Phillips had much sympathy with Ferriby, despite their demise benefiting the Bucks. “You don’t want to see any club go,” he said. “It was a good club – I have been there a few times - and they won the FA trophy not so long ago. “But it just shows that if a football club is being mismanaged at the top level it always costs in the end. “It happened to Spennymoor a while back, it happened to Darlington, it’s not just a one-off. “It seems to be a trend that if you don’t look after your finances at the top, then the bottom part takes a massive hit. “I am sorry to see them go, but obviously on the plus side - if there is a plus side – it has given us a bit of momentum and a bit of a lift back into those play-off places where we want to be. “With the points deductions for North Ferriby games we are now in fifth, three points in front of Gainsborough and four points behind Nantwich. Callum Chippendale’s goal could yet prove huge as it shot down Scarborough 1-0 on Saturday for three vital points with just five games left. “It was a really good result and I thought we thoroughly deserved the three points,” said Phillips. “We played really well first half and, even though they threw everything at us second half, realistically Theo (Roberts) didn’t have a lot to trouble him in goal. “We missed a penalty and had another couple of good chances, so not scoring enough goals was the only disappointment. Buxton are now looking forward to a blank weekend. “We have a Saturday off which should help with getting one or two people back up to speed and others back on the fitness front,” he said. “It will just give us that weekend breather after something like seven games in 20 days, which has taken it out of the lads a little bit. “Hopefully we can keep the momentum up when we kick back off a week on Saturday against Farsley, which is a massive game. “It couldn’t be a tougher test to return to. But, touch wood, we have a decent record against the bigger teams this season so we hope that will continue. “We have Warrington as well before the end of the season so hopefully we can keep that record going. With one eye on next season, forward Brad Grayson has signed a new deal to the summer of 2020. Grayson is currently injured and Phillips said: “Brad was in and out at the start of the season. “But what we are trying to do at the club now is look at the bigger picture. “He has scored a few goals and can play a few different positions. “He knows the club and can play in the league above if we do, hopefully, get there.